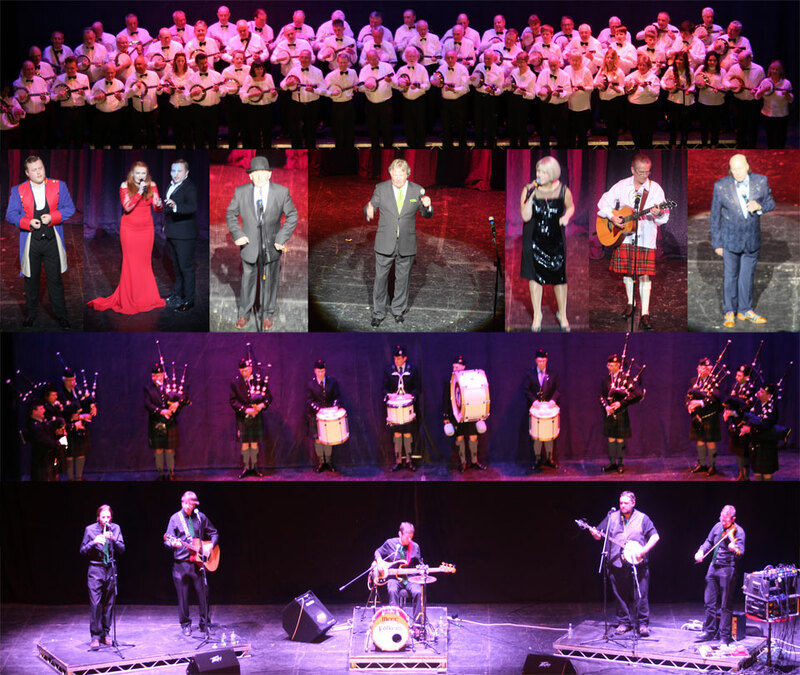 The Opera House Theatre, at the Winter Gardens in Blackpool was the venue for the 2019 major fund raising event for the West Lancashire Masonic Charitable Foundation 2021 Festival ‘A Night with the Stars’. Pictured from left to right, are: Maureen and Tony Harrison, the Worshipful the Mayor of Blackpool, Councillor Gary Coleman and his wife Mayoress Councillor Debbie Coleman and David and Susan Winder. The Worshipful the Mayor of Blackpool, Councillor Gary Coleman and his wife Mayoress Councillor Debbie Coleman were welcomed by the Provincial Grand Master Tony Harrison (2021 Festival President) and his wife Maureen Harrison when they arrived at the Winter Gardens to watch the show. The Chief Executive of the MCF David Innes, and his wife Annemarie were also welcomed to the show by Tony and Maureen. Pictured from left to right, are: Maureen Harrison, Jim Davidson and Tony Harrison. 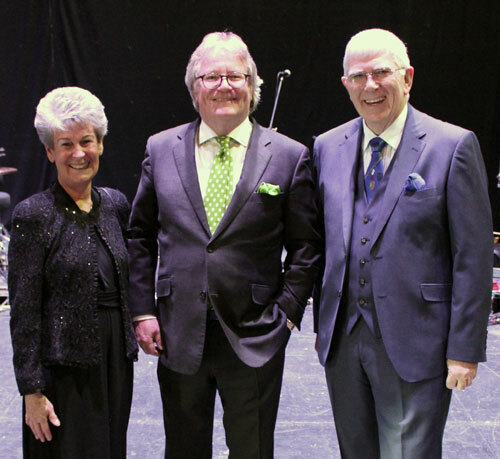 Over 1,000 Freemasons along with their partners and members of the public enjoyed the show that was hosted by Jim Davidson, one of Britain’s top stand-up comedians. Among the stars performing were Freddie ‘Parrot Face’Davies star of Opportunity Knocks, vocalists Emilie Jasmine and Adam Lacey sang songs from Phantom of the Opera and Les Misérables, Lynn Fox sang songs from the 60s. Jezz (Gerry Conroy) and The Chorley Croft and Culcheth Pipe Band closed the first half of the show. Over 90 members of the George Formby Society performed some of George’s famous songs. In the next session Meet the Folkers entertained the audience with traditional Irish folk music. Mick Miller comedy star of stage and screen closed the show and received loud acclamation at the end of his comedy session. 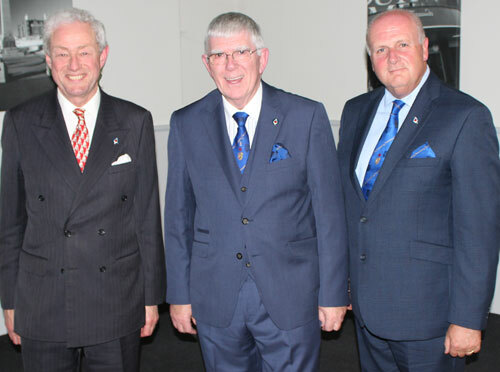 Pictured from left to right, are: David Innes, Tony Harrison and David Winder. At the end of the show Jim Davidson thanked the audience for supporting his charity, Care after Combat, with a wonderful cheque for £5,000. Tony expressed his thanks to all the brethren and members of the public who attended the show and to all those who helped to organise it, as it also raised approximately £14,141.19 for the MCF 2021 Festival. The MCF helps Masons, their widows and dependants and awards major grants to medical research, Red Cross disaster appeals, Hospices, Air Ambulance, Lifeboat and St John ambulance services and many more charities across England and Wales. After the show Tony and Maureen along with the Worshipful the Mayor of Blackpool and other dignitaries retired to the Blackpool Masonic Club for refreshments. While there the Mayor and Mayoress were given a tour of the Lodge room. Pictured from left to right, are: David Winder, the Worshipful the Mayor of Blackpool, Councillor Gary Coleman, Tony Harrison, Mayoress Councillor Debbie Coleman and David Randerson.